The importance of vaccines and the need for maximum transparency in vaccination programs can’t be overstated. China’s public health industry has suffered great integrity blows in the last decade, losing credibility and faith in the eyes of its people with three scandals involving major actors in the vaccine manufacturing and distribution processes in the country. 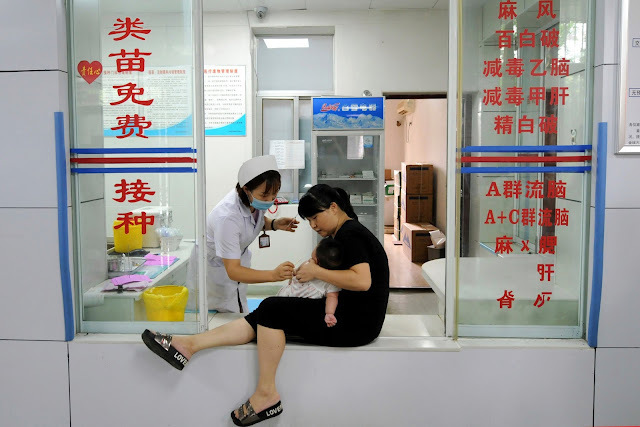 With the first major vaccine scandal hitting China back in 2010, recent reports this July have raised eyebrows provoking rage and protest amongst many mothers in the nation. According to investigators, Changchun Changsheng Bio-technology made use of expired materials in the production of DPT (diphtheria, tetanus and whooping cough) and falsified records on rabies vaccines. Reports say they carried out experiments with mice at the wrong stage of the process. Before the alarm bells rang, hundreds of thousands of Chinese children had been administered the vaccines termed as faulty by State authorities already. Although the children don’t seem to be have been affected so far by the substandard vaccines, the episode greatly undermines President Xi Jinping’s pronounced vision of a newly resilient China and his vow to kick corruption and abuse out of the drug and food industries of the nation. Moreover, the children may have been made susceptible to diseases the vaccines were supposed to have prevented them from being infected by. In detail, the company supplied 252,600 substandard DPT (diphtheria, tetanus and whooping cough) vaccines to the Shandong Centre for Disease Control and Prevention and is being investigated for conducting experiments at the wrong time on mice. Attempting to cover up their violations of standard procedures, Changsheng Bio-tech faked records on production and testing, going as far as issuing receipts with false information about the time the mice were bought. Attempting to tamper with records in such a large-scale scandal is even more frightening. What if there’s more they are trying to hide? As reported by the SDA, the Changsheng case is accompanied by another huge vaccine maker in China, Wuhan Institute of Biological Products found to have supplied a whopping 400,500 substandard DPT vaccines to Hebei (210,000) and Chongqing (190,500). Though president Xi has reacted with investigations of the entire industry amongst other actions, the Chinese people don’t believe enough is being done to manage the crisis properly and to prevent other cases in the future. Protesting around the National Health Commission premises on Monday the 30th of July, protesters consisting mostly of parents called for reforms to tighten control in the drug industry. This movement has been very much supported by images and online campaigns on social media. Effective record keeping is key to the success of the pharmaceutical industry worldwide, making irregularities in procedures easily detectable, thereby eliminating forgery attempts. Labii ELN and LIMS are far ahead of conventionally expensive research tracking systems often considered only by the bigger manufacturers, distributors, or academic labs. With plans that suit even the smallest institutions (Pay-per-use Electronic Lab Notebook) and others for the giant companies, Labii software provides the perfect strategy to keep a copy of the truth for reference whenever necessary. All company research, production and distribution data can be stored with optimum reliability and security. Having recognized the vital role of blockchain technology in the future of communication and other circles of life, Labii is incorporating super secure cryptography into the designs of their ELN. If there is anything which looks like a viable solution to such medical accidents happening around the globe, it’s the adoption of Labii’s record keeping software. As highlighted by the World Health Organization’s representative in China, Dr. Gauden Galea, the fact that the irregularities with the faulty Changsheng vaccines were discovered by state investigators is a sign that China’s regulatory system is not far from the right path. However, everyone agrees more should be done to prevent similar occurrences in the future. And Labii ELN and LIMS which follow GLP and FDA 21 CFR part 11 could present the best chance at the start of a new era for China’s pharmaceutical industry. Labii Inc. is an software company headquartered in San Francisco, CA. that develops and distributes Electronic Lab Notebook (ELN) and Laboratory Information Management System (LIMS).